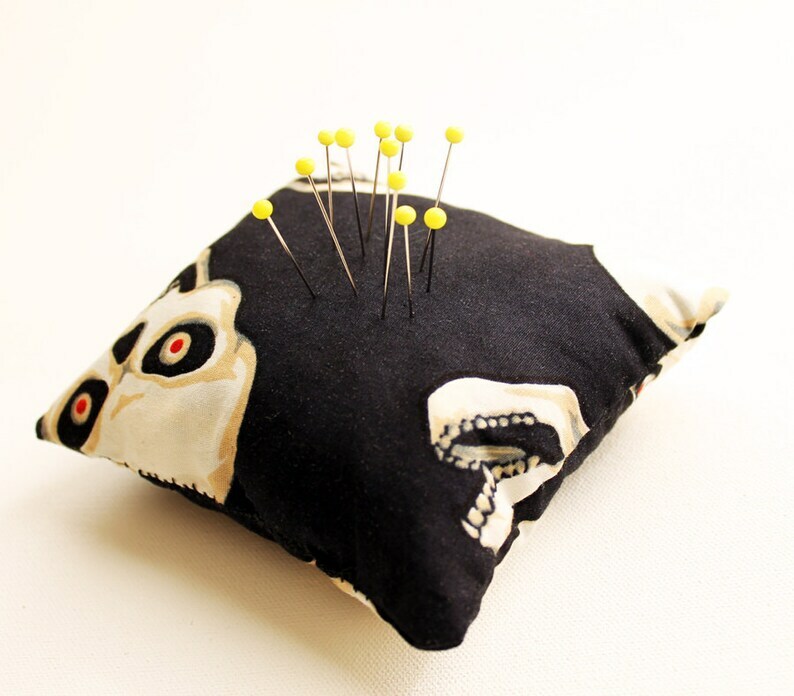 These pincushions are made from scraps of fabric left over from many other sewing projects. All those odd sized pieces were cut into the cushions and the pieces that are no longer of any use are used to stuff the pin cushions. Nothing is wasted! I have three cushions made of this fabric, all differ in size.